Just when you think there’s no winning against the biotech industry,news out of Mexico City shows that all is not lost. After years of deliberation,a Mexico judge has placed an indefinite ban on genetically-engineered corn. Effective immediately, companies like Monsanto and DuPont/Pioneer will no longer be allowed to plant or sell their corn within the country’s borders. “Farmers for Action” Blockade re: milk prices. We farmers have one thing in common, no matter what nationality we are, or how big or small are our farms; we recognise that the power of nature is greater than the power of man. That our ability to provide the food that ends on the nation’s table is as dependent upon the powers beyond our control, as upon our skills as growers. We have an unbreakable contract with nature and it’s that contract with nature that binds us farmers in ways which are difficult for others to understand. But if we should break that contract, and use our powers to try to force nature to bend to our will, then she will take revenge and we will end up as slaves. 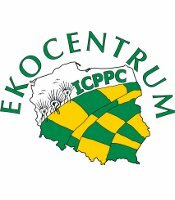 Związek angielskich rolników "Farmers For Action" nie usprawiedliwia żadnej formy grabieży ziemi w Polsce przez korporacje. W naszym przekonaniu, rodzime społeczności rolnicze nie powinny być rugowane ze swej ziemi po to, by przyszły tam wielkie korporacje i praktycznie siłą wyrzuciły miejscowa ludność z jej ziemi w imię produkcji żywności. Read more: Conference "‘Protecting and Promoting Real Food’"